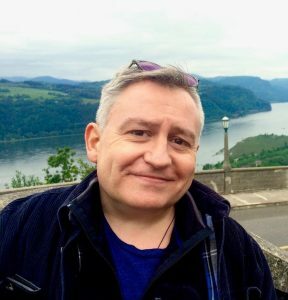 Role models in the dwarfism community: Simon Minty, trainer, consultant, comedy producer. My name is Simon Minty and I live in London. I was born in Epsom in Surrey and moved to London when I went to University and stayed. I’m not very good at explaining this. I’m self-employed. I’m a trainer and consultant. I talk to large companies about employment and customers who have a disability. I also produce comedy with Abnormally Funny People. I currently co-host two podcasts, one for the BBC called Ouch and one with my friend and colleague Phil. Yes, in the main. I get nervous when I have to make a big speech but I love it too. I enjoy being asked to go in to a BBC radio studio and talk. I really enjoy the comedy we make and perform. A good training course when I can see delegates get ‘it’ is hugely rewarding. I have travelled for my work and that’s been fantastic. But, I have to write tender documents, have to do long conference calls and always have some admin to do which I enjoy less. I left school at 18 and worked for Barclays Bank until I was 25. I ran training courses for Barclays as well as advised small businesses. My manager told me about a consultancy that worked in disability. At the time, I wasn’t thrilled to be categorised but stored the information. After realising I wanted something different from banking, I took a sabbatical and back-packed around Australia and New Zealand. Whilst away, I had the chance to think about where I fit in the world, about being short and I decided to go to University. A fellow back-packer suggested I studied philosophy. At University I continued to explore my height, disability more broadly and then met up with the chap who ran the consultancy. I started running training courses for him and, well, here I am. The comedy was a different route, a best friend from school was a comedian and I loved everything about it. Phew, that’s a big question. I feel I had to do the things when I did to get to where I am now. I wonder if I’d stayed at the bank would I now be married with children, be mortgage free and living a different life? Variety, freedom and the people. In the last few weeks I’ve been to Windsor Castle and the House of Lords, I recorded a show at the BBC, I spoke with a friend about writing a book, have been asked to do a talk in Hong Kong, and have written some comedy to pitch to Channel 4. I still have a mortgage though. I’ve been lucky in that I don’t think I’ve had a truly terrible job. I even enjoyed my Saturday job when I was 15 working as a cashier for Bentalls department store. I used to baby sit for neighbours and loved that too. A part of my job that I don’t like is how it makes me nervous. My anxiety before a big event can kick in a month before. A few years ago I was asked to talk at a huge government backed event and was a mess for weeks beforehand. I retched on the journey there. Waiting back stage I wanted to run away and decided there and then, I was never doing this again. Then I went on stage and loved it. How long have you got? I’m generally ok with it now, I’m well in to middle age. I can get affected if youngsters shout something horrible, or if someone clumsily leans over me. Being an ‘ambassador’, that is being polite when I don’t want to be, can be tiresome. Pain and discomfort aren’t welcome and increase as I get older. Romantically and emotionally it’s been tough sometimes. However, I do like being me. I wouldn’t have taken this path if I’d not been short. I love the people I’ve met, I also love the short person community even though I was a latecomer. Being short has opened more doors than it has closed. Being short is part of you, don’t resent it nor obsess about it. Do what you want to do. Try and be nice. You will get a girlfriend. Argh, will you quit with these big questions? My answer does vary but right now, it would be my parents. They didn’t know what was coming (they are average sized as is my sister) and no one gave them any training so I’d say they’re pretty special. Being self-employed and working in comedy means work and pleasure often overlap. 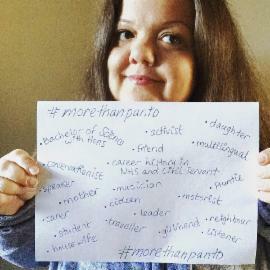 I like theatre, travel, football, food, lie ins and socialising. Two that affected me hugely at the time of reading are The Catcher in the Rye by J.D. Salinger and The Basketball Diaries by Jim Carroll. I love a bit of angst. I read The Woman in White by Wilkie Collins whilst at school and again later and was gripped. These questions! Recently a friend sent me a twenty year old article in which I had been interviewed. In it I said I would be content when I saw a short person be in a soap opera and their height be irrelevant to them being there. This is happening now. I know a lot of people made this happen but I’m proud to have contributed. Good company, could be serious but was also fun. School and public libraries can help combat prejudice by promoting positive portrayals of people with dwarfism, according to the new ‘Spread The Word’ campaign launched today by leading dwarfism charity, RGA UK. The charity – which campaigns to ensure people with dwarfism have the same opportunities as everyone else – has teamed up with two ground-breaking authors to encourage school and public libraries to stock children’s books showing dwarfism in a positive and realistic light. Supporters are encouraged to contact their public or school library to request they stock ‘Strong and Mighty Max’ by Kristina Gray and ‘We Are Giants’ by Amber Lee Dodd, as well as ‘I can’t not never be very tall’ by Susan Hatton. Template emails and letters to send to libraries – as well as Tweets, and Facebook posts – are available from the RGA UK website. Click here. The aim of ‘Spread The Word’ is to promote more positive and accurate depictions of people with dwarfism who are otherwise often widely mischaracterised as people from fairy tales, myths, and fantasy stories. RGA UK believes such misrepresentations can perpetuate stereotypes, prejudice, and misconceptions among children at a young age. Books such as these help to introduce children to dwarfism, disability, and difference in a positive and realistic light. Both authors have some availability to visit libraries and schools and talk to children about their books. 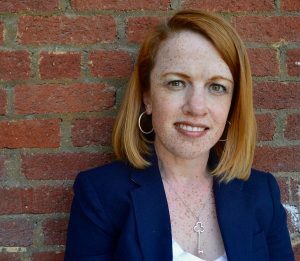 Chair of RGA UK, Gillian Martin, said: “There is an urgent need to address depictions of dwarfism, in our media and popular culture, which too often misrepresent members of our community as people out of myths, fairy tales, and fantasy novels. 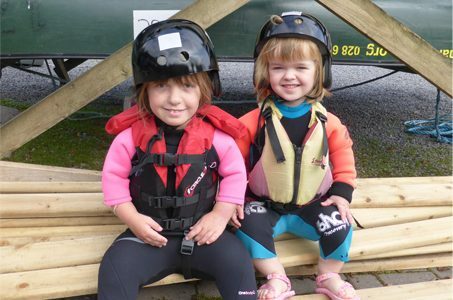 “Introducing children to dwarfism and disability – of all sorts – at a young age helps them to become familiar with and accommodate difference and diversity, which we believe should be celebrated and embraced. 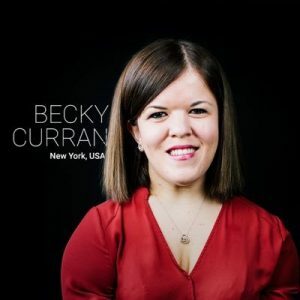 Commenting on the campaign, Kristina said: “I am thrilled to be part of the RGA’s campaign to combat negative stereotypes of people with dwarfism. Educating young minds with positive role models is the key to empowering the next generation to value each other’s differences as something to be celebrated and respected. ‘Strong and Mighty Max’ is aimed at Early Years and Key Stage 1. Max, born with Achondroplasia (a form of dwarfism), explains that Achondroplasia is a ‘big word’ and not a special ‘superpower’; it simply means his bones grow differently. It is a wonderfully illustrated story encouraging discussion about how everyone is born different. ‘We Are Giants’, for readers aged 9+, is written from the view of a young girl who lives with her sister and her mum who has dwarfism. Her deceased father also had dwarfism. When her mum gave birth to two average-sized daughters, people were sceptical about whether she could take care of them. It has been endorsed by best-selling author, Jacqueline Wilson, and reviewed by The Guardian. It was also nominated for a number of national awards including the 2017 Branford Boase award for most promising children’s debut novel and Longlisted for the 2017 Waterstones’ children’s fiction award. 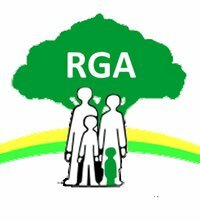 Template emails, Tweets, and Facebook posts are available from the RGA UK website. Click here. Are there other books that you think positively portrays people with dwarfism? Why not add these to your list and let Team RGA know via office@restrictedgrowth.co.uk. RGA UK is in no way commercially connected to the authors nor does the charity benefit financially from sales of these books. In 2015, Keith Hopkins, known affectionately as “the Raffle Man”, was awarded the lifetime achievement award by RGA UK, in recognition for his tireless fundraising at conventions over many years. It took some years for Keith to find RGA UK, but, after joining in 1989, he soon became an active member and only missed one convention in all his time. In recent years, he enjoyed sitting back and having a more relaxed time at the organisation’s annual events. Many more of his friends have recalled how he was a big part in conventions over many years. He also travelled to many of the regional events, held across the country. Steph Birch remembers from her time as the Chair: “wherever the RGA had hired a village hall and a children’s entertainer, Keith would be there with his friends Pam and Chris. No distance seemed too far and he always enjoyed talking to everyone – young and old. Raffles weren’t limited to convention; he would help out wherever and whenever he could. Each time we’ve seen him, he would always talk to the children and ask how they were getting on. He was a very gentle man and his presence at these events meant a lot to us as a family”. Keith was born in London and described himself as a happy child with blond curly hair. His Dad also had Achondroplasia and his Mum was average height. He was an only child, but close to his cousins and wider family throughout his life. He took regular holidays to stay with his cousin Tony in Winchester. In Keith’s early years, he was educated in a school for children with special needs – not uncommon for the time, when children with differences were often educated separately from the mainstream. After leaving education, he joined his dad’s workplace and was employed as an office clerk at Morganite. He started work in London. When the factory transferred to Swansea, he moved there, with his family. Here Keith worked throughout his career until retirement, aged 65. The city became home for Keith and he supported Swansea City Football Club. Keith had many interests outside of RGA. He loved classical music and enjoyed more contemporary artists, such as Catherine Jenkins. Driving gave Keith independence and pleasure. Meteorology was a keen interest. Keith followed the pressure charts and enjoyed the cerebral challenge of interpreting the anticipated weather. He cared about the Royal Family and sent the Queen and other senior royals cards, to show his support. Keith also had a strong personal faith, which gave him great comfort. In the last couple of years, friends could see Keith becoming more frail. Despite his poor health, he continued to live independently – staying active, and getting out and about. He was at the recent RGA convention in October – once again, his raffle bucket in hand. He passed away aged 70 after a short stay in hospital, where he was receiving treatment for heart problems. Keith’s family have asked for donations to the RGA, in lieu of flowers. Friends are welcome to attend the funeral, which is to be held at Morriston Crematorium, Swansea SA6 6BY at 11am on 24th February. Pam Burnell and Steph Birch. It is with a heavy heart that we have to tell you one of our well-known and much-loved members, Keith Hopkins, has sadly passed on. Keith was an integral part of our community and our charity, for which he generously volunteered – often running our annual raffle – for many years. He was a kind and gentle character, genuine and welcoming. We have now had confirmation about Keith’s funeral, which will take place on February 24th 2017. If you knew Keith well and you would like to attend, please contact Adelina at RGA UK for further details (office@restrictedgrowth.co.uk). If you would like to, it was Keith’s family’s kind suggestion that friends and family donate to the RGA – instead of providing flowers. His family have arranged for the funeral directors to handle donations, through Graham Sullivan Funeral Directors, Ty-Hedd Funeral Home, Myndd Garnllwyd Road, Morriston, Swansea, SA6 7QG. RGA UK was close to Keith’s heart, as he was to ours. We will all miss him. Please pass this information on to anyone you think would like to know. We are sorry to have to share such sad news. The team at RGA UK. Happy Holidays from Team RGA! 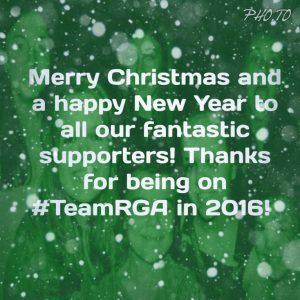 The RGA office will be closed from Thursday 22nd December 2016 to Thursday 5th January 2017. Happy holidays!